Ever since J.J. Nelson was selected by the Arizona Cardinals in the fifth round of the National Football League (NFL) Draft of 2015, he has continued to grow his game – many thanks to the vast opportunities that opened up to him as well as his rare on-field athletic performances. A product of the University of Alabama at Birmingham, Nelson holds the record as the No. 27 state prospect on Birmingham News Super Seniors list. Also, he was honored as a member of The Birmingham News All-Metro West Offensive Team. Over the course of his flourishing career, the NFL player has carved out a reputation for himself as a result of his enviable speed and fantastic reception. The Arizona Cardinals wide receiver was born in Midfield, Alabama, in the United States of America, on the 24th day of April 1992. His full name is Jamarcus Jermaine Nelson while his horoscope sign is Taurus. J.J, as he is fondly called, had his high school education at Midfield High School, where he was part of his school’s football team. He also defended his team in the state Class 4A competition and helped them to get to the quarterfinals after finishing 11-2 in the tournament. Under the guidance of coach Ruben Nelson, Jamarcus recorded 1,049 yards, 55 catches, 19 touchdowns, five interceptions, and 214 yards rushing during the regular season in 2009. Nelson’s superlative performance would earn him The Birmingham News Metro-West Player of the Year as well as a spot on Birmingham News Super Seniors list. He was listed as the No. 27 state prospect. In addition, J.J. Nelson was unveiled as a member of the ASWA First Team All-State and was picked to join The Birmingham News All-Metro West Offensive Team. Besides football, Nelson thrived in basketball and track and field events. Playing for his school team, he was able to earn for himself an All-region honor, equally emerging as his team’s Most Valuable Player. Reports have it that J.J competed in the 100-meter dash and won Class 4A state champion twice. He also won the 200-meter dash race with the best time of 21.76 seconds. The Cardinals wide receiver began his college education with the University of Alabama at Birmingham (UAB) in 2014. 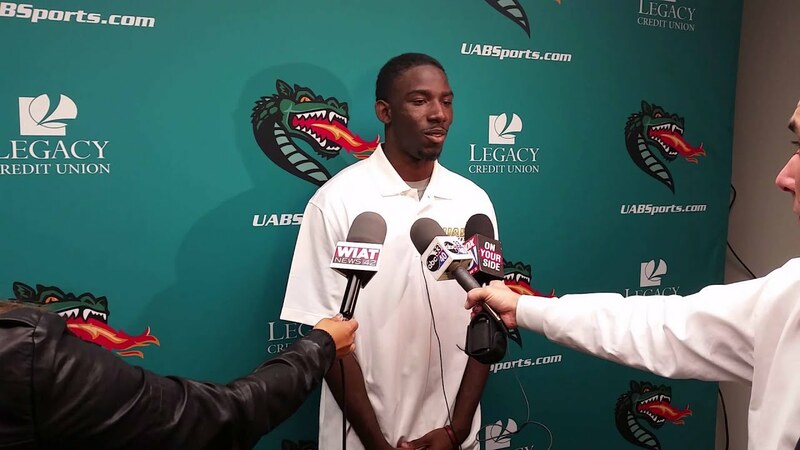 He was a member of the school’s football team, The UAB Blazers. This saw him compete in the West Division of Conference USA (CUSA) and the Football Bowl Subdivision (FBS) of the National Collegiate Athletic Association (NCAA). One year later, J.J. Nelson was selected by the Arizona Cardinals as the 159th overall in the fifth round of the 2015 NFL Draft. He recorded his debut professional touchdown in a game against Cincinnati Bengals on November 22, 2015, and subsequently completed his rookie year with two touchdowns and 11 receptions for 299 yards. A look at his profile for the year 2016 shows that the Midfield-born NFL star started 6 of the season’s games for his team and also gained six touchdowns as well as 34 catches for 568 yards. In week 14 of the same season, Nelson recorded a touchdown and rushing attempts for 83 yards. The 2017 season, precisely in week 2, saw him record 5 receptions for 120 yards, which consists of a 45-yard touchdown catch in a winning game against the Indianapolis Colts. This feat alone earned him the Week 2 yardage leader title and the NFC Offensive Player of the Week. J.J Nelson’s family consists of his mother (Marsha Nelson) and father. It appears the NFL player’s father was not part of his life while growing up as his name and other details about his life are missing on the map. Moreso, the No. 14 jersey player has neither mentioned his father to the media and it is not known if he has siblings or not. The American professional wide receiver didn’t just emerge the fastest player at the 2015 NFL Combine by sheer luck or chance – he literally trained himself consistently with so much dedication and focus. To a large extent, J.J has his body build to thank for all the successes he has recorded throughout his career. He is one of NFL’s wide receivers with befitting height and weight for the game. The game changer, as he is fondly called by some folks, stands at a height of 5 feet 10 inches, which translates to 1.78 in metric units while his body weighs 171kg (156 lb).